I don't know why all the sacrilegious things in this world emanates from the so called "advanced world" and yet Africans will waste no time to start copying them. Which is all we have learnt how to do very well over the years. This issue even begs the question; what is religion and values. Imagine this couple are brother and sister and they are married and expecting a baby. Something that in African values, it is the greatest atrocity man can ever imagine to commit. Suffice to say, it is the same people that brought religion and values to us and we copied and obeyed them without resistance (I now know that religion is just what they put together to make themselves the masters and we as the slaves. What better way to hold Africans as slaves when slavery is been abolished) and now they are forcing Africans to embrace the act of homo-sexualism and now this. What next? I won't be surprise to see Africans toeing this part in the near future because all an average African, especially Nigerians want to be is to become and be evolved like the Americans "advanced world". I sincerely hope that Nigerians know that former President Goodluck Jonathan lost 2015 elections just because he refused to sign homo-sexualism into law. Well, this is the next trend now. 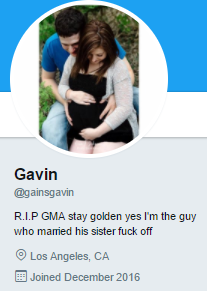 A man who lives in Los Angeles, California with his wife, who also happens to be his sister, has taken to Twitter to explain why he tied the knot with her. 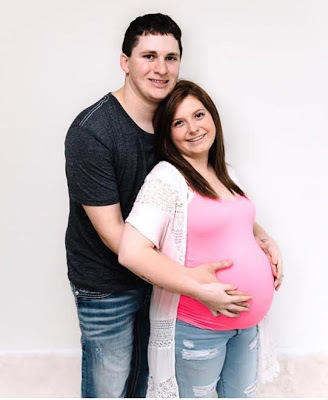 Sharing a photo of him cradling his sister/wife’s baby bump, he said love cannot be controlled and as such he chose the one he loved even though they are blood relatives. 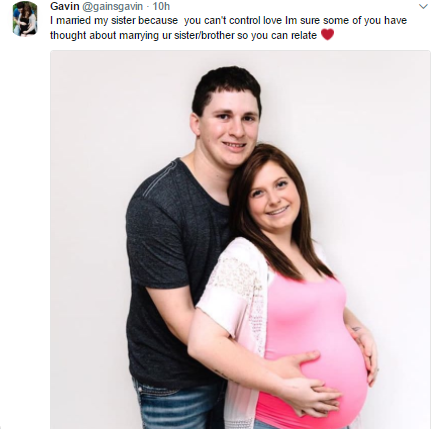 “I married my sister because you can’t control love Im sure some of you have thought about marrying ur sister/brother so you can relate,” Garvin wrote.